Bruins Roster: What to Do With Vatrano & Subban? With just one preseason tilt left on the docket for the Boston Bruins minimal roster clarity has been achieved. Though that’s not necessarily a bad thing, virtually zero of the team’s roster hopefuls seized a glorious opportunity to lock down a spot during the 5-1 drubbing suffered at the hands of the Philadelphia Flyers. 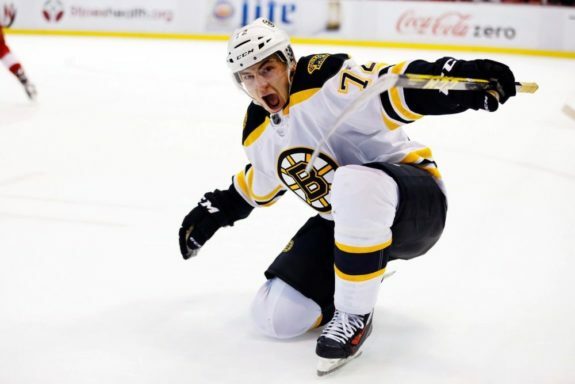 In fact, the one aspiring Bruins forward to crack the scoresheet in the contest (Kenny Agostino) woke up Friday only to find out he’d been placed on waivers. It’s not terribly surprising that in a field this crowded things are going down to the wire. 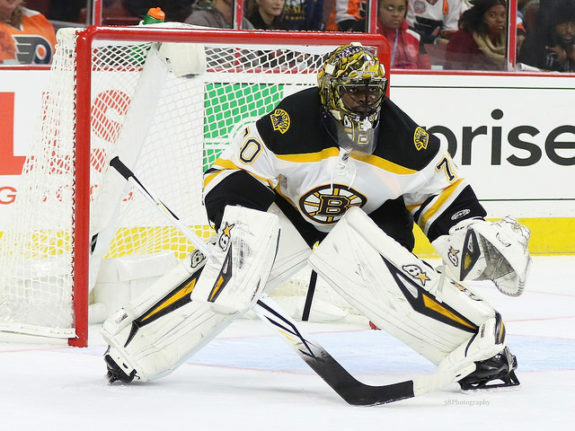 What IS surprising, however, is the fact that Frank Vatrano and Malcolm Subban face uncertain futures within the organization. In the case of Vatrano, he’s been outplayed to this point by Anders Bjork and Jake DeBrusk. Both appear to be destined to at least begin the regular season within Boston’s top nine, if not top six. Moreover, with Bruce Cassidy’s vision for the bottom six needing to be “tough to play against,” Vatrano doesn’t quite seem to fit the bill. Conversely, Subban’s play this preseason has been a pleasant surprise. Though he hasn’t necessarily been outstanding, he has at least shown glimpses of the talents that made him a first round pick in 2012. With both players needing to pass through waivers should they fail to make the parent club, the team is facing difficult decisions. Do they ice either player over a more deserving/ideal candidate or do they roll the dice and risk losing one (or both) with no return? The Bruins have already lost Colin Miller and potentially the newly-waived Kenny Agostino for zero return — can they afford to add more names to that list? 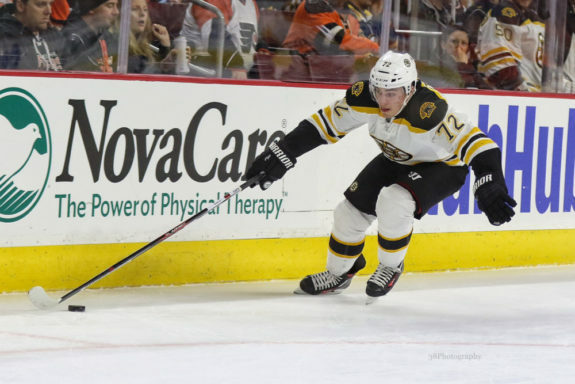 Even before training camp commenced, this figured to be a crucial season for Frank Vatrano. Competition for a roster spot was to be fierce and he’s on the last year of his entry-level contract. Furthermore, the excuses, for lack of a better term, that had previously existed were no longer relevant. No longer could the lapses in judgement, positioning or play be ascribed to being a rookie, or being on the mend from injury. To this point, Vatrano has yet to distance himself from the competition. Through three preseason contests the East Longmeadow native has registered zero points, eight shots and a minus-one rating. Three games is an extremely small sample size. However, as previously mentioned, his play has seen him fall behind Bjork and DeBrusk on the organizational depth chart. Matt Beleskey looks recharged and healthy following last season’s torn MCL. Sean Kuraly, Riley Nash, Noel Acciari and Tim Schaller all fit the mold of bottom six forwards who play a heavy game and are capable of killing penalties. Even Austin Czarnik (a natural center) has looked significantly more explosive and versatile. At times this preseason, Vatrano has shown the hustle and commitment to playing a 200-foot game asked of him. However, he can still occasionally be caught snoozing in the defensive zone, as he was Thursday night on Philadelphia’s fourth goal which put the game out of reach. He was caught quite literally standing still as Wayne Simmonds snuck behind him for a back-door tap-in goal. Considering the fact that he’s under a microscope while battling for a bottom six spot, it was an unsightly (and avoidable) miscue from Vatrano. Honestly, it’s hard to say what’s on the horizon for Frank Vatrano. He would certainly be an attractive waiver-wire addition for a team looking for secondary scoring; I have a hard time seeing 30 teams pass on his potential and price tag. Nevertheless, he appears to be a man without a home at this juncture. I suppose the front office could put some feelers out to clubs toward the bottom of the waiver wire. Perhaps there’s a team in need of depth scoring willing to part with a draft pick to jump the line of suitors. Considering Boston’s backs will be up against the wall with waivers looming, it’s unlikely Boston gets anything better than a mid-round pick in return. Boston’s best course of action, in my opinion, is to start the season with Vatrano in Boston. Rather than risk losing him for nothing, a short leash on the third-line is preferable. Even beginning the campaign as the thirteenth forward is better than the former. He may not currently be the most deserving candidate for a spot. However, with Sean Kuraly (the likely 14th forward in this scenario), Danton Heinen, Peter Cehlarik, Jacob Forsbacka-Karlsson and Austin Czarnik all being exempt from waivers and currently representing, at best, a marginal upgrade from Vatrano, losing him for no return seems wholly unnecessary. Let him play his way out of this funk, or let one of the aforementioned forwards render his services obsolete. Much like hairs on your head and clean pairs of underwear, one can never have too many goaltenders. That is the Tao of Joseph Ochs. 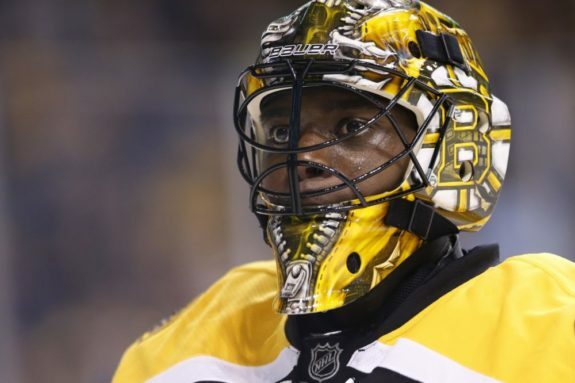 Malcolm Subban has had an interesting professional career to this point. Unable to distinguish himself in the AHL while faltering in his two NHL appearances, the “bust” label has been applied. However, a strong showing this preseason versus Chicago has some rethinking that classification. On display was the Tim Thomas-like athleticism and battle that made him so highly-touted coming out of the OHL. Still just 23-years-old, his performance indicated that the jury is still out regarding his potential. An organizational afterthought as recently as one month ago, he (and his contract) have given the Boston Brass plenty to consider. 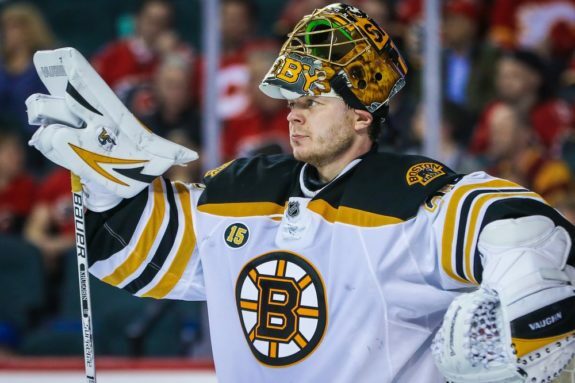 Anton Khudobin, the presumptive backup to Tuukka Rask, will be starting Boston’s final preseason contest. Having stopped 22 of 24 shots in a winning effort in his lone preseason appearance, he’s yet to dispel that notion. Anything shy of a disaster Saturday versus Chicago and the gig belongs to the affable Kazakh. That leaves Subban in limbo. He has potentially played his way back onto the league’s radar, and represents a low-risk, high-reward waiver claim. Teams seeking organizational depth at the position will at least have their interest piqued. Though it’s a roll of the dice, Subban is almost certainly going to hit waivers. Anton Khudobin is presently the only candidate to have logged any successful appearances at the NHL level. As such, attempting to sneak him through waivers in lieu of Subban could prove catastrophic. Boston’s depth behind Rask is already questionable; 132 minutes of solid play from PK’s little brother isn’t enough to upset the apple cart. With multiple goaltenders around the league banged up (including two in Montreal) Khudobin’s NHL-readiness and expiring contract could prove even more appetizing than Subban’s long-term potential. With his game finally seeming to round into form, losing the 2012 first-round pick at this juncture would sting. However, when compared to the potential loss of Khudobin, at this juncture, it appears to be a risk the Bruins must take.